Designed to provide the ultimate in implementation versatility, the Dash T3 Plus gives you the power to choose how best to serve your customers. Capable of operating in landscape and portrait orientation, this POS station can be mounted on the desktop base, wall, or used as a mobile device. You have the power to define at the time of purchase. The Dash T3 Plus is built to order and can be adapted with a variety of peripherals that ensure this solution provides everything you need and nothing you don’t. 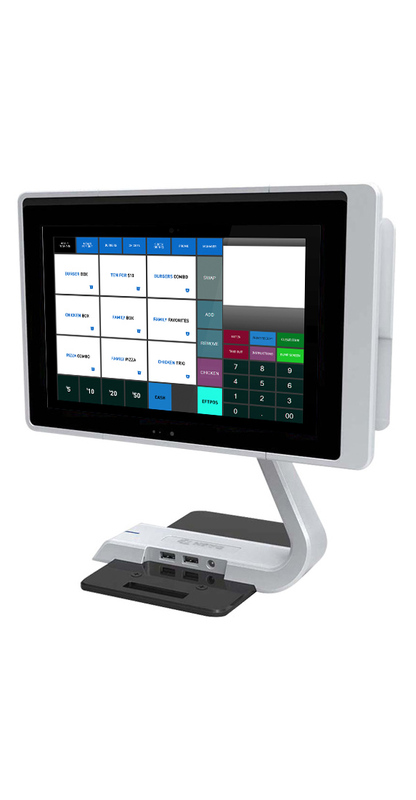 Versatile POS solution that works in any environment. Provides all the essentials without breaking the bank. Higher level of customer service with multiple customer facing options.